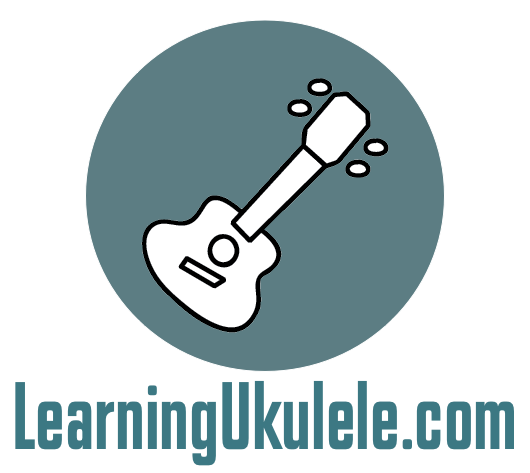 In-Person, On-line, LearningUkulele.com Membership, Skype, Apple Facetime, Email Correspondence. There are a lot of ways to study with Curt. Private one-on-one lessons are available with Curt at their family music store Funky Frets • Boyertown, PA USA 19512 • 494-515-8677 in Boyertown, PA USA. As seasoned musician and a virtuoso player on guitar and ukulele Curt can definitely help with your goals. Checkout the CD pages for his playing and the books section on the LearningUkulele.com site for PDF versions of all of Curt's books. hard copy version of most of the books are available on the Funky Frets on-line store . Don't live in the area you can take on-line lessons using Skype or Apple Facetime. With the Internet these limitations of time and distance are no longer an obstacle to gaining access to studying with a top, experienced and professional teacher anywhere in the world. Taking advantage of the latest technologies and practices, I have developed a program of online study that targets specific skills for aspiring ukulele players and music in general. Here are three options for a more structured approach to learning the ukulele. In addition to simply going it along and figuring it out yourself with what is available right here on and the wider Internet in general. PRIVATE LESSONS - Private lessons are available at our family music store, Funky Frets, 600 E. Philadelphia Ave., Boyertown, PA 19512 USA. These lessons are the tradition one-on-one approach where you sign up and show up each week, and with the customized lessons, you progress towards your goals. SKYPE LESSONS - This is the closest to face to face private lessons as we use the Internet and a simple web camera built in t most computers, tablets and smartphones. There is not distance barrier, and all that is need is to schedule the lessons frequency and time. Skype and Apple FaceTime is the same as in-person lessons at Funky Frets. EMAIL CORRESPONDENCE - This is a go at your pace, and I send you the custom lessons. This option can accommodate any schedule as the communications involve email, phone and video exchange. Lessons with me are an excellent way to have me identify the lessons that are available right here and guide you through the many available lessons. Email correspondence lessons are a great option for people that can't commit to a schedule due to a job, family, etc..
For more information, you can reach me by email at: curtsheller@gmail.com or by call me at 484-942-8040. We can discuss your goals, current level, a schedule and the program that will be best suited to maximize your progress. You might be wonder just that. "What are the lessons like?" Both the in-person and skype, and email correspondence lessons are custom lessons based on your goals as well as what every player should know. 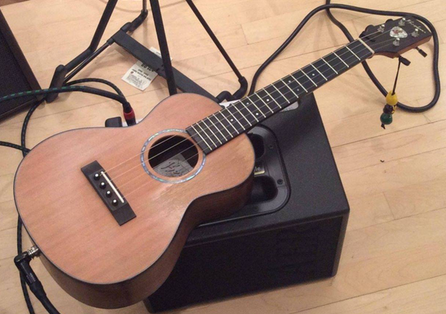 Typical lessons contains the following topic areas: Chords and Chord Progression, Single Notes, Rhythm and Strums, The Principles of Music, Learning the `Ukulele Fingerboard, and Developing a Repertoire. After many, many years of serious study with world renowned musician, education, and jazz guitarist Chuck Anderson I've adopted his teaching philosophy and methods. See my Gear Page for a few of my guitars that are for sale. I pretty much only play guitar to show a guitar student something. So, a couple of really great guitars need some playing and good homes. All levels of student are accepted and welcome. All lesson material for the student is focused on students achieving their goals - not my goals. It's your lesson NOT mine. My goal is NOT to teach you songs but to teach you the principles that are inherent in every song. This will allow you to learn any song and develop your own repertoire and voice. Focused, short and frequent practice is often more effective than long practice sessions. It is not my function to motivate a student but to help then find their own motivation. Any topic that will help you achieve your goals can be covered in the lessons. All lessons are customized to the individual students goals. There is NO "One size fits all". There are no lesson assignments that are mandatory for every student. Rhythm is an often neglected topic for most teachers and one I consider very important. Through Chuck Anderson's Modular Phonetic Rhythm System you'll learn Rhythm as a second language. We won't learn "licks" and "riffs". You'll learn the underlying principles behind these "licks" and "riffs". Allowing you to learn, create, and develop your own. Lessons focus on developing your Mind, Hands, and Ears. Allowing your musical creativity to come out. Spoiler Alert: for stringed instruments and the piano the hands take the longest to develop – It's the motor skills that take the longest to develop. Perseverance and persistence are more important than "talent" and "education". If you show up consistently for the lesson you are *guaranteed* progress. The time spent at a lesson is even more important than practice. Don't let a lack of preparation stop you from getting to your lesson. There is always something valuable to do at a lesson above and beyond the assigned lesson material. There is no secret to learning music and a musical instrument - "What ever you put in you will get out." Lessons are NOT school and the practice you do at home is NOT homework. Think of it as more like exploration vs. practice. It's NOT "Play, Practice, and Rules." It's "Work, Exploration, and the Principles of Music." Duke Ellington said there are two rules in music., Rule 1: there are not rules in music. Rule 2: See rule one." There are no timetables or deadlines on learning anything - Music is no exception. Lessons will work on developing your own voice - your own unique personality. There is already a "so-and-so" ( insert your favorite musician here ) out there. People that give up NEVER achieve their goals. As long as you don't give up, you will be always moving forward to obtaining your goals. Goals often adjust or change - but forward motion and progress is certain with persistence. I teach to help those who have asked for help. I myself have always studied and learned new material. I personally took lessons from the time I was 9 or 10 and continued until just recently and continue to explore new material and revisit and refine what I've already studies. I studied contemporary and jazz guitar as well as anything music related and the music business that I brought up in lessons with Chuck Anderson for well over 30 years of my adult life. Generally in music if it sounds good it is good. Music is not a competition or sport. The old proverb says "It's the journey - not the destination." Although reading standard music notation is not mandatory but IT'S helpful. You are not going to learn this or that instrument in 7 days or 30 days. There is no "easy" method, etc... There are no shortcuts but there are many ways to learn efficiently. Don't forget to build on a solid musical and technique foundation in your quest to get "advanced". Slow and controlled leads to virtuosity. It's all about efficiency of motion. Work *smarter* not *harder*. Speed is a by-product of performing accurately and in-control. There are no tests, no grades and no performance reviews. You always go at your own pace. I recognize and actually ask why each student is taking lessons. I do not assume that everyone has the same goals, reasons or motivations. It's actually great that we can all develop you own voices in music. Now lets get to work!! !